This post here is obviously about World of Warcraft. Do you remember when a fan got the microphone during the BlizzCon 2013 and asked the developers of World of Warcraft the legacy servers related question “Have you thought about adding servers for previous expansions as they were then?” and World of Warcraft’s executive producer J. Allen Brack replied “No! And you don’t want that either, you think you do, but you don’t.”? Isn’t it a shame that players who supported the product for over a decade do now have to rely on an inofficial World of Warcraft server, to actually experience what made the game become so popular? Blizzard should be ashamed, they better should start to care about those that made the product become popular, but given how streamlined the product already is, it’s probably too late anyway. Blizzard, the Elysium Project does offer something that you could have done too, but you didn’t. Fortunately there is this alternative for thousands of players who refuse to play the streamlined and boring mess that the official World of Warcraft has become. I feel Schadenfreude when a community fires back, this is what happened here. yessss….what is nice, is we are being given a choice, and a second chance at this. There were places in early WoW that I never really explored, and regretted being unable to. By the time I got back, the Goblins had taken over the landscape, the doors were locked, and those marvelous quests were gone. Im looking foward to Stormwind with a coast and boats, but not necessarily a harbor. I will gladly give up a mailbox on every corner, gladly carry all those damn arrows and ammo and flint and wood for fires, just to try it again. yes. I think there was such a big discrepancy between advocates of modern WoW and advocate of Classic, that this was the only logic consequence they could make. In fact, and this is not a secret, the camps were divided internally too between the developers. I do now face the issue with the faction Alliance versus Horde. Since I played Classic WoW back then on Alliance side, I would get the most Nostalgia by playing Alliance again. 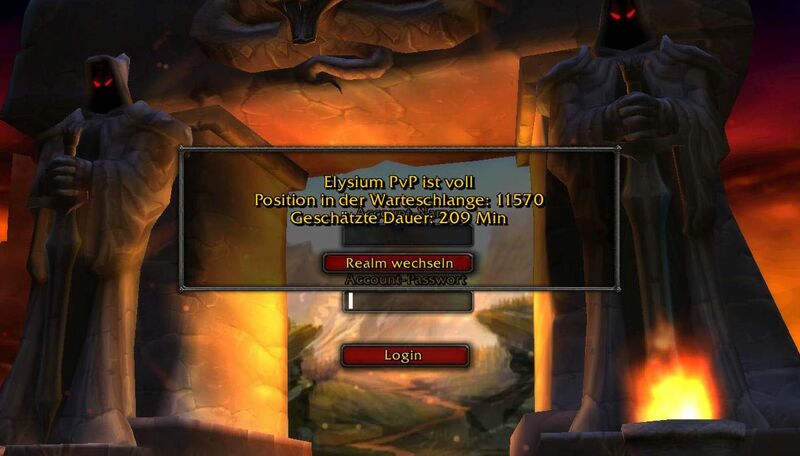 On the other side, since we played for Horde since Burning Crusade and all those years after… it’s a bit difficult. A friend was kidding today on the phone and said “You know, we’re Horde to the core!”. He’s right. But nostalgia on Alliance side… starting at the chapel, discovering the Forest of Elwynn… the melody when I entered Stormwind the first time. Getting beaten to death by the Murloc’s if you just pulled one too much (laugh, I still find their combat cry cute). Going to Westfall and so on and on. I am totally with you. I gladly give up all these simplifications. I just want a game where I can spend time if I want to, not a game that does everything for me or where I am just some kind of viewer but not a player. I don’t care if something is too difficult or if I need a group. I don’t even have to master everything, I just want to know that when I log in, there is still something to do. That has never been the case with any of the last expansions.